Detailing the physical features, habits, territorial reach and other identifying qualities of the Black-Legged Tick. The Black-Legged Tick is an arachnid with a bite that can do more damage than most spiders. 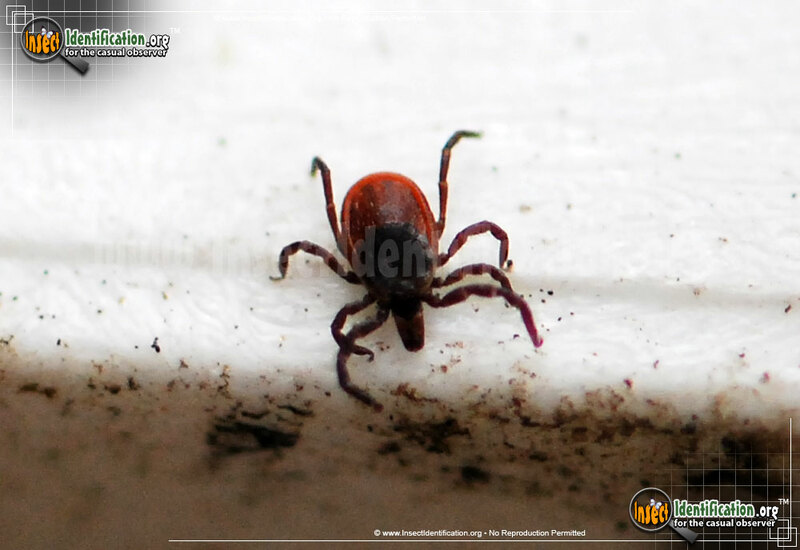 The Black-Legged Tick is a carrier of Lyme disease and transmit it to humans. This arachnid picks up the Lyme disease-causing bacteria by feeding on mice and deer. It is during feeding that the Lyme Disease-causing bacteria can pass from the tick into the host (deer, human, mouse, etc.). 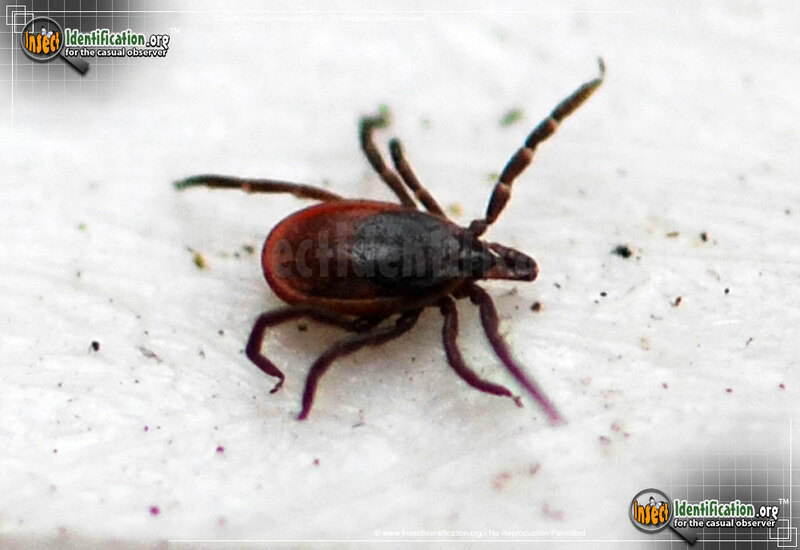 The longer the tick has to feed, the greater the opportunity for the bacteria to transfer and infect. Because of this, the Center for Disease Control in the U.S. encourages people who finds ticks on themselves to remove them as soon as possible. 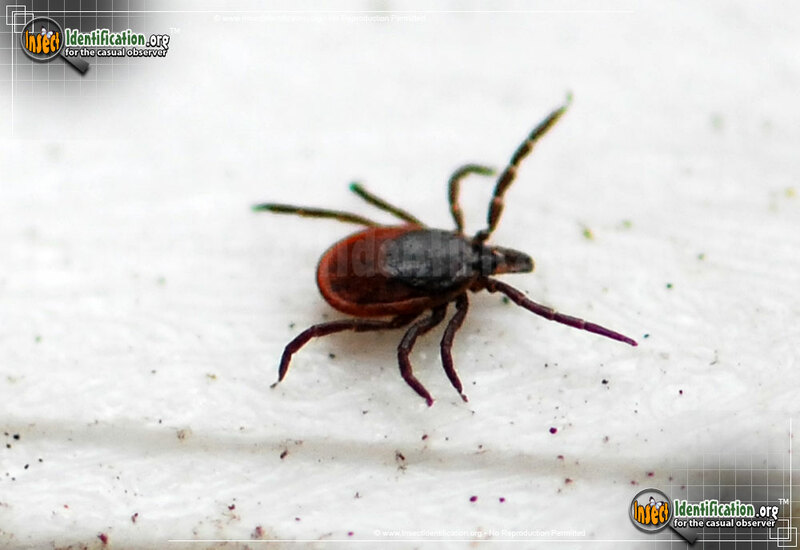 Because the infecting vector may be in the feeding tube, even if the tick is crushed or decapitated, it may still transmit the bacteria. Complete removal of the tick's head and feeding tube within 24 hours of the initial bite can reduce possible infection according to the CDC. 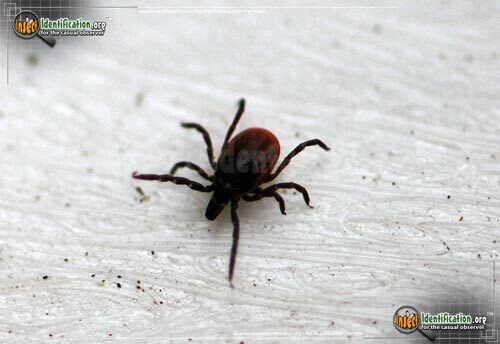 If you have been bitten by a Black-Legged Tick, seek medical attention and get tested for Lyme Disease. 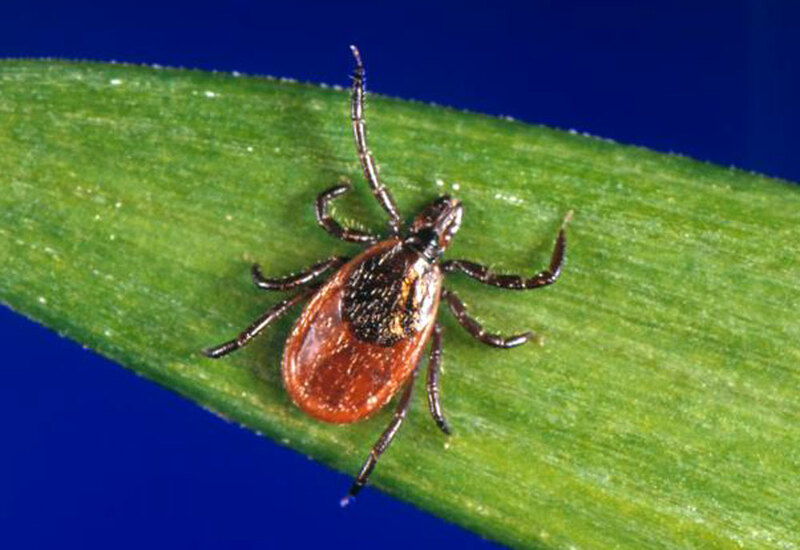 Early diagnosis of Lyme Disease improves treatment effectiveness and symptom management. Commonly found in the Eastern United States, the Black-Legged Tick adult sits on low plant vegetation (shrubs, ferns, flowers) until a potential host animal walks by. With its front legs outstretched, it clings onto whatever it can: fur, tail, clothing, etc. It then crawls to to warmer parts of the body because blood is closer to the surface in those areas. It bites the victim without pain because its saliva has an anesthetic chemical in it that numbs the bite site. A barbed feeding tube helps keep it latched on more securely. It draws a blood meal from the host until it is engorged with blood, and its abdomen more than doubles in size, turning redder in color. 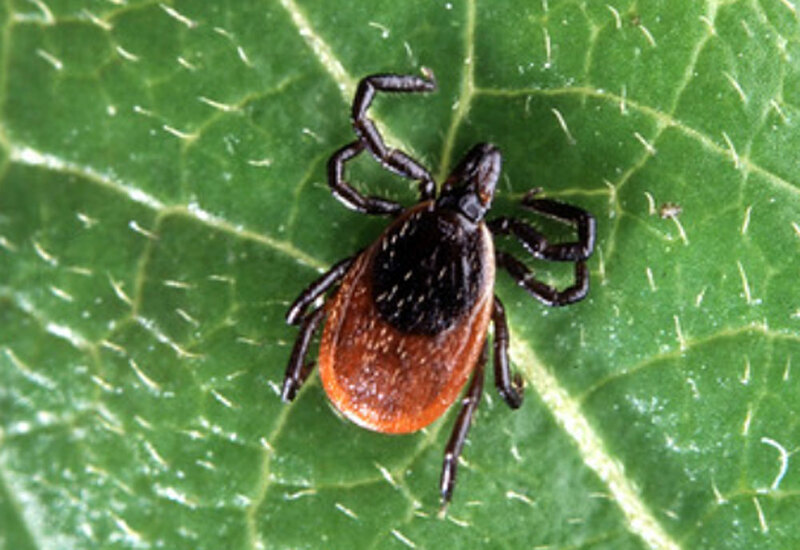 Ticks may feed on the same host for days. 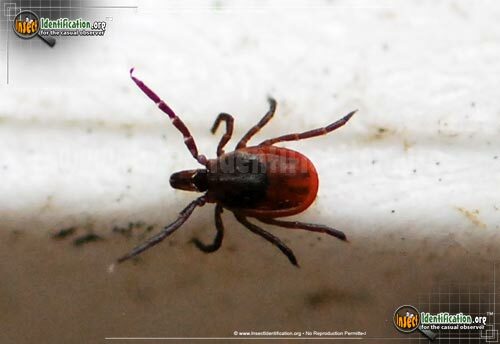 Not all tick bites leave a red ring around the wound, but the presence of one may indicate a bite. All Ticks are arachnids, not insects. They have eight legs, so counting legs of a creature crawling on you can aid in identifying them quickly. Males appear dark brown or even black, while females feature red-orange coloring. Tick nymphs are most active during the spring and summer months, when a majority of potential hosts are also most active.